Origin: Japan. Like a complex citrus cocktail of mandarin, grapefruit and lemon, but much softer on the palate than a lemon, the Yuzu is fast becoming the darling of UK chefs who are using it in dressings and drizzles over seafood. 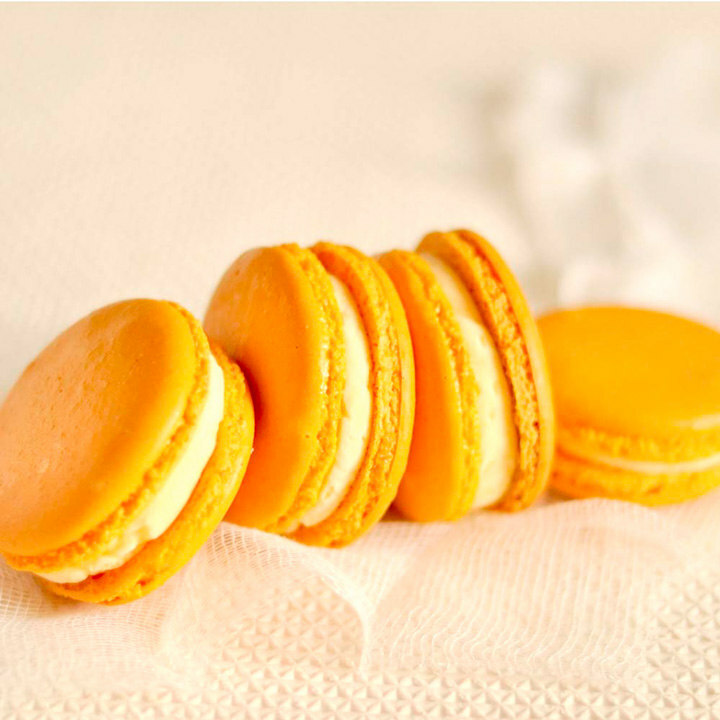 Popular in Asian cuisine, with three times the vitamin C of a lemon it is as good for you as it is a new flavour sensation. 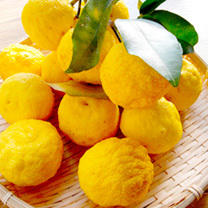 In Japan, the juice is also added to hot baths and thought to be good for the skin! Mature height 1-1.5m (3'3"-5'). Self-fertile. Supplied in a 3 litre pot. Generally, citrus are very simple to maintain with the advice below and much easier than most of us think. Citrus hate wet feed so proper watering should only take place during March till October with only the barest minimum taking place in the winter months. Feeding should also follow the above rule, with specific citrus feed being applied at 14 day intervals only during the active growing months. As for so many plants, wind chill is a serious issue and will defoliate a tree very quickly and it may not recover. So if planting in the garden or in a pot you should select a sheltered spot. Even quite tender citrus species will grow outside during the winter months if for instance they are placed against a thick and warm hedge or under overhanging thick Cyprus trees. But to be sure you should protect your citrus in the winter with a fleece or if in a pot bring inside. 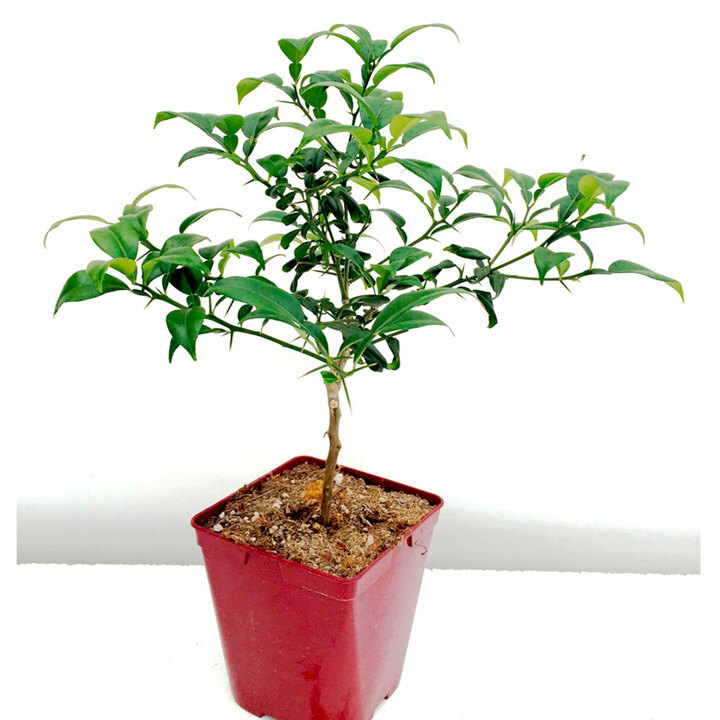 Citrus are NOT house plants and will very rapidly defoliate and die if kept in a centrally heated household environment. 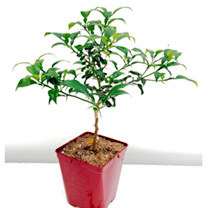 It is far better to place a citrus tree into an unheated shed which has good natural light for the winter. On the good days when temperatures are above 8ºC then place the plants out of doors so long as you remember to bring them in at night if frosts are due. All citrus love natural sunlight, so every attempt should be made to maximise this at every opportunity. Even in the true conservatory or greenhouse the plants should be placed upon a light reflective surface such as silver foil or best Brilliant White paint! It really works by the way. They are self-fertile. Flowering time: Mid summer through until mid autumn. Fruiting time: As with most citrus the fruits will begin to size and ripen during our late autumn and winter, although they will hang on for nearly a whole year. Potting on - Citrus will perform very well in seemingly very small pots. Certainly a very large citrus of say 1.5m in height and 15 years old will do very well in a 20 litre pot with plenty of drainage! But if there is felt a need to pot on, then you will need to use a soil based compost with the addition of 40% 10mm stone. If you happen to have a volcano in your village then use some of that if not, then try to obtain granite chips! If not, then stone will do. Make sure you layer the bottom of the pot very well. In addition, please don’t be tempted to buy one of those very attractive round belly designer type pots or any pots which are larger at the bottom than they are at the top. It is impossible to knock the plant out of those pots to dry them out if you over water or to add new soil.